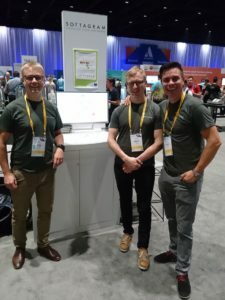 Softagram Meets Silicon Valley, How we were able to give 100 Demo's in a week? 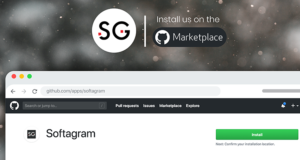 Softagram Meets Silicon Valley, How we were able to give 100 Demo’s in a week? 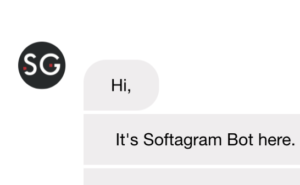 Short update to Softagram journey. 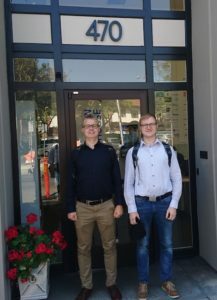 Right now I’m excited of our success in Silicon Valley trip, decided to share it, and bring a few answers to: “How did a startup from Finland get to talk with the biggest technology giants in Silicon Valley?” Softagram offers a solution to boost the software development. So it’s more than natural that we are looking curiously to the world’s largest technology hub. In numbers, the Silicon Valley area has over half a million developers, almost double the amount the second biggest hub (greater London area) has. Within 100 miles radius you can find almost every top enterprises’ HQ’s or their offices. Our main reason for the trip was to join the Atlassian Summit. Most of the Atlassian product users are also ones who would benefit from Softagram’s offering. The summit was a huge success! 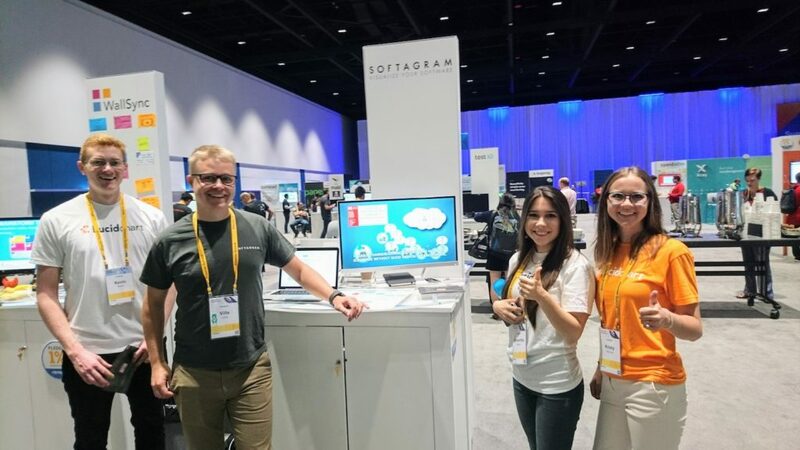 Most of the participants (around 3500 attendees) did not come to the Summit to see Softagram, nor did they even expect to find an automated code analytics and visualisation solutions at the fair. But when they found about us, most were thrilled of what they saw. We got over 70 warm leads from the booth! Our approach was to talk with the people around the booth, and we found that 3 out of 5 were in our focus user or customer group. They stopped to our booth, saw our demo, got interested and even brought their colleagues to see it as well! 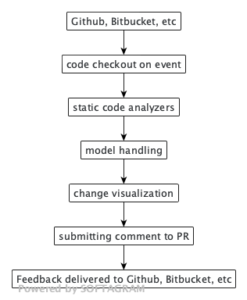 Their heads were spinning and they saw the benefits we could bring to managing and developing of large code assets. They had the pains of ever increasing time pressure, leaving gurus and new resources on boarding, issues in legacy codes and pressure to keep up the maintainable and reusable codebase. Check out the video that we had running on our booth – it makes the point. We landed to San Francisco already on Sunday evening, took our rental car and drove to our Airbnb apartment at Mountain View. We had a busy week ahead of us, filled with meetings we had agreed mostly on beforehand. So, the first advice for good meetings is that you start preparing well ahead! 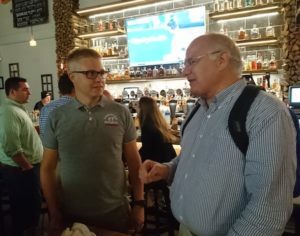 We wanted to get a good understanding of larger enterprises DevOps tools and methods, and thus started a couple of months earlier to find good contacts to book meetings with. We used our networks to find and reach correct people, and that is the second advice and the key of the success for the first step; use your networks to get the meeting to talk your story. Monday morning started at Netflix. Netflix is one of the leading tech company (among that they are the leading streaming service provider). They are one of the most desired workplaces in the Valley, running modern lean organisation with latest and greatest tools and methods. Our host Samuli gave us a good understanding of their methods, and also the pains and challenges where we could help. Later during the week, Ville also had a chance to talk with Mike McGarr and Ed Bukoski. 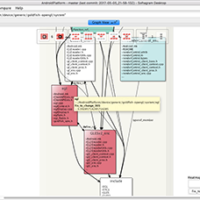 Hopefully these bright guys will later blog about Softagram too 😉 (See https://medium.com/netflix-techblog/how-we-build-code-at-netflix-c5d9bd727f15 for their current practices) As they are giving out their development tools in open source, we added the full Netflix OSS code base under analysis in our cloud server. That way they could have access to it and see the benefits of Softagram using their own codebase. We had to skip the yummy looking lunch choices that Netflix offered for free, and run to have a free lunch at Google. 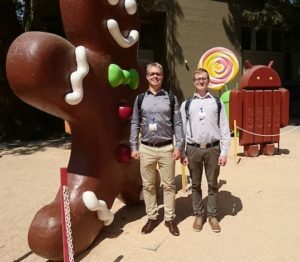 The Google visit gave us a chance to see the impressive Googleplex campus, and understand how the giant works, and allows to use tools independently decided by their engineers. We’ve already had a few demos done to the Google folks. 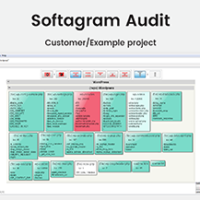 Softagram is also used by our customers for example to understand the complexity of Android OSS, so there will be a future connection to that company for sure. One of the first steps is to support the OSS community and thousands of Google employees working on them. Our approach is to provide free access to the committers of selected OSS projects via our cloud solution. On Monday afternoon we met HP in their Palo Alto site. Meeting VP of Engineering and one of their lead developer was arranged with an introduction. I assume this would be the 3rd advise; getting to talk high enough, you need to know someone who knows that person. Specifically in the U.S. I’ve found that a personal intro would carry a long way. In this case we were helped by Harri. HP visit was fruitful, they’ve seen earlier attempts to do something that we already master, and we were able to show our uniqueness to handle large codebases. Work continues to get them as our users! Atlassian Fair kept us busy from Tuesday to Thursday. Early Friday morning we drove to IBM Research center in Almaden. We had a great meeting with the talks on multiple aspects of AI. Multiple leads are continuing on that one meeting, arranged and hosted by Daniel, Thomas and the very entertaining expert in AI field: Jim. After IBM we had a good information sharing session with Jan at ABC-Accelerator at WeWork in San Jose. Friday afternoon continued with lunch meetings and a visit at Nordic Innovation House, (Softagram is also member now!) 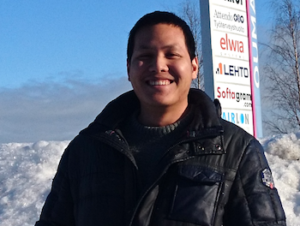 where we met Tonxu from Tekes and Hartti from Team Finland/Finpro. They are giving great help to startups to get their feet firmly on Silicon Valley! Late Friday evening we talked with investors and were networking at Nasdaq Entrepreneurial center in San Francisco. We were also enjoying the first ever SLUSH skydiving pitch event (I wanted to jump too, but unfortunately we weren’t chosen to). My last advice on meeting the Giants? You must have something interesting to offer and talk to them wherever you are. For example, in the Nasdaq event, we were naturally pitching our story to investors. One of them asked us to give our customer pitch to his friend. This friend got really interested and it turned out he was CTO of a tech company with over $4B yearly revenue. I guess he bought our pitch because you know what, we are going to give them a technical demo soon! So no surprise we were happy of our trip and it’s results! 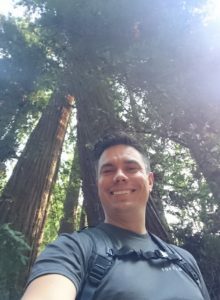 We enjoyed the free Saturday to see the Muir redwood forest and hike from there to Mt Tamalpaisand back. Then we had an excellent Brazilian Churrascaria in the city. Relaxing well during the weekend got us energy to start nurturing all those leads to deals. Wish us luck and strength, Tommi PS: If you wonder the strange postures by Ville and Matti in the pictures, it’s kind of an inside joke, borrowed from Elisa’s “Missionary” advertisements. We also felt like ones by going from meeting to meeting, telling about the miracles of smarter software development. Would you like to be part of the early adapters of smarter software development? Try today for free from our cloud! When acquiring a software company, do the due diligence for their software too!